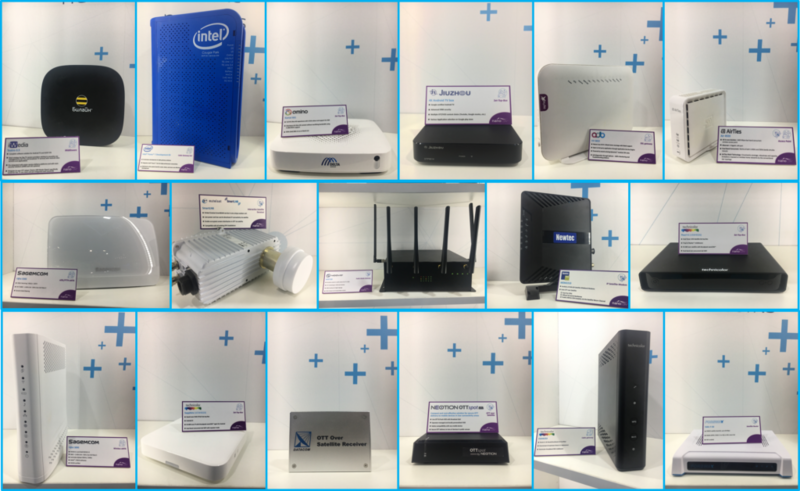 A very busy IBC 2018 for Broadpeak! IBC was a month ago, already…! But before closing this chapter and moving forward onto other events and exciting projects, we needed a proper wrap-up of this major event that welcomed more than 55K visitors this year. We haven’t met them all, of course, but the traffic was very intense at stand 5.B78 where more than 600 meetings were held! It was Broadpeak’s 9th participation at the trade show and, without any doubt, the most successful IBC for the company! A lot happened! Meetings to discuss current deployments, and others to launch new projects, encounters with new and older acquaintances, passionate conversations about the future of television with analysts and editors, new partnerships highlighted, an award won… It took us time to recover from all this but we were very excited about the event and are looking forward to preparing the rest of the year and planning for 2019! Watch Jacques Le Mancq, Broadpeak’s CEO, talking about the highlights of our stand, here. 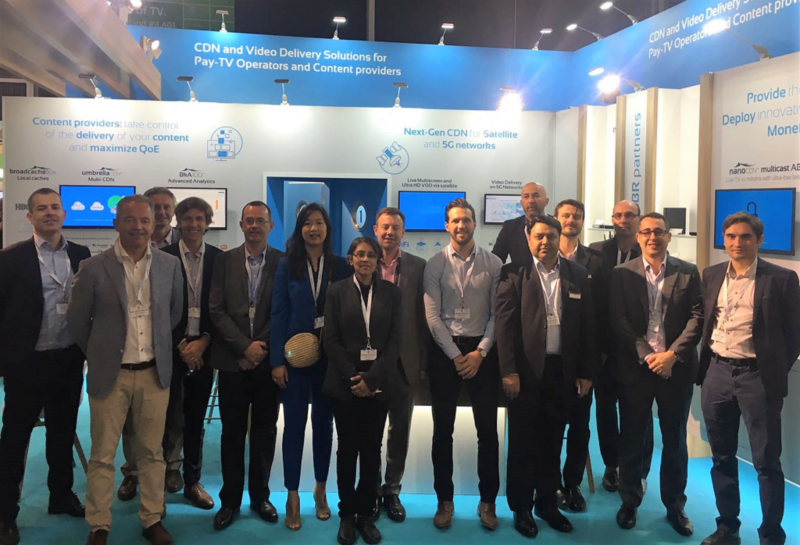 We exhibited our CDN and video streaming technologies for content providers, showcasing our BroadCache Box deployed by HBO Latin America, our umbrellaCDNTM with Diversity that was finalist for the Streaming Media Readers’ Choice award, our video analytics and watermarking solutions. 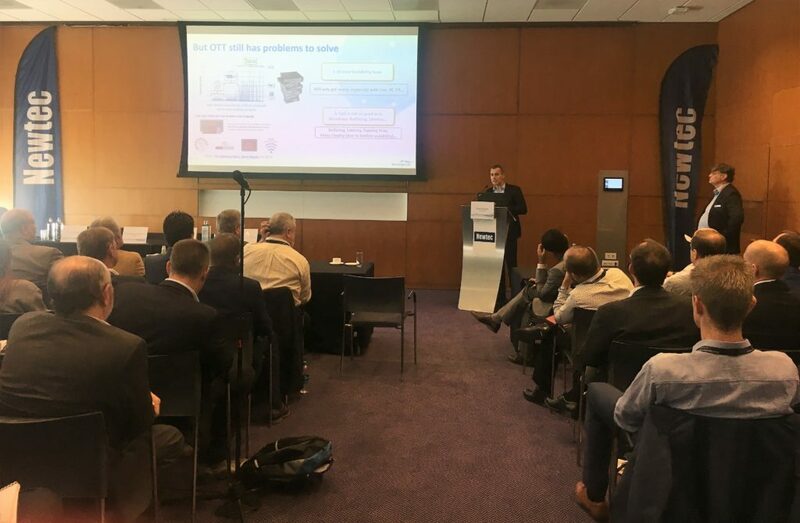 We also highlighted our solutions for cable and telecom operators, including our CDN technologies, cloud PVR and ad-insertion solutions, the 5G XCast project, as well as our nanoCDNTM multicast ABR solution. In fact, we highlighted some of the 80 devices our nanoCDNTM is now integrated with, including 10 that are actually deployed by operators worldwide. Thank you all partners for making this possible! 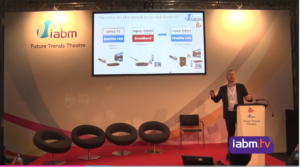 Satellite was a hot topic at IBC, as well as at Broadpeak’s booth. Jacques Le Mancq, our CEO, was invited to speak in Newtec’s sesssion on OTT and satellite. He also discussed how to maintain satellite quality and unlock new revenues during a presentation at the iabm Future Trends Theater. Watch the video here. 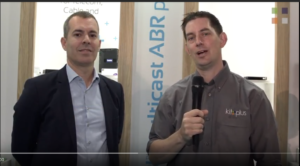 Damien Sterkers, Broadpeak’s nanoCDNTM product manager, talked about OTT live and VOD via satellite with broadcast quality in the WTA’s Executive Dialogue Series (video here) and with Richard Hooper from Sat TV Week (video here). And, cherry on the cake, nanoCDNTM for satellite won the CSI awards for best TV everywhere or multi-screen video solution. Happy customers and partners brought smiles along! We were pleased to meet with current customers at IBC, show them new product features and enjoy a coffee with them! 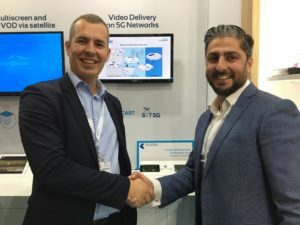 2 new customers were announced during the show: Cablevision in Lebanon for the first IP-based pay-TV rollout in Lebanon (more here) and Telstra in Australia. We’re proud to have partnered with them for this world premiere of an Hybrid Unicast/LTE-B Solution. Read more here. 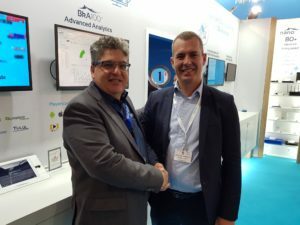 We’ve also celebrated several new partnerships and reinforced successful ones at the show including with Castlabs for minimizing end-to-end latency playback with a CMAF compliant solution (more here), with the Convergence TV project for the ATSC 3.0 SHVC based hybrid delivery demonstration, and with Divitel. The marketing team has worked hard with partners and analysts to release 3 white papers for IBC! The first one, written by Frost and Sullivan, discusses how multicast ABR is a Pay TV Operator’s Key to Multiscreen Live Streaming. Download it here. Another one, published in ScreenPlays Mag , explains how a combination of advanced CDN & watermarking solutions meets challenges posed by live streaming & rampant piracy. Download it here. In partnership with NSR and Neotion, we have worked on how new business models emerge from associating OTT and satellite. Download the white paper here. And now, off to NAB Show New York, SCTE Cable Tec Expo, Broadband World Forum, Africacom, InterBEE, Google Android TV Summit and more…! Hoping to see you at one of these events! 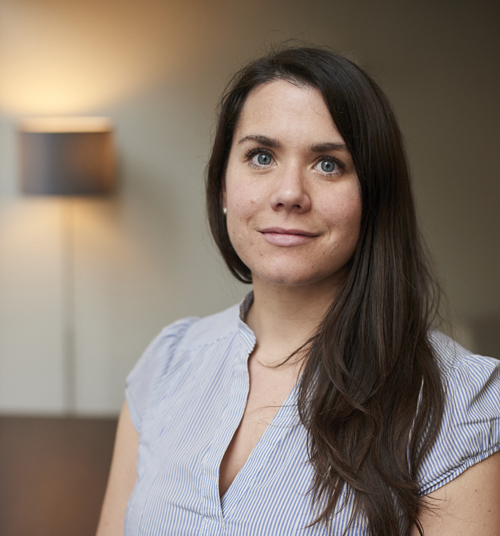 Elodie Levrel is the Corporate Marketing and Communication Director at Broadpeak. She in charge of the communication strategy and its implementation, and has been developing Broadpeak brand since she joined the company in 2011. Before joining Broadpeak, Levrel worked as a Communication Manager at Poulain&Fils Traiteur. Prior to that she was the Communication Assistant at the European University of Brittany (UeB). Levrel holds a Master degree of International Event Management from Ecole de Management de Normandie and the University of Brighton.